Jenkins Acura is happy to offer drivers throughout Gainesville and The Villages service and parts specials. 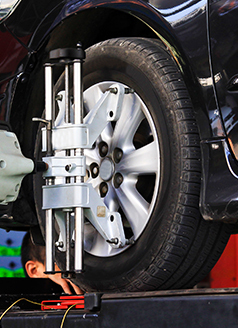 Our full team of factory trained service technicians offers a wide variety of products and services ranging from tire maintenance and fluid changes to more significant diagnostic and repair work. Our knowledgeable service advisers will keep you well informed through each step of your experience. Most vehicles. Not valid with any other offer. Coupon must be presented at time of write up. Plus tax & shop supplies. No further discounts apply. See dealer for full details. Only valid for Jenkins Acura. Limit 1 per house hold. Expires 4/30/19. • Replace water pump & coolant. • Replace accessory drive belts. • Inspect tensioners & seals. • Inspect hoses & cooling system components. See your Owner's Manual for recommended interval. Add a tire rotation for $10.00! Most vehicles. Maintenance requirements, schedules and prices may vary by model. Synthetic oil is additional. Plus tax & shop supplies. Not to be combined with any other discounts. Hazardous disposal fees, if any, are extra. See dealer for full details. Only valid for Jenkins Acura. Limit 1 per house hold. Expires 4/30/19. • Used computerized equipment to adjust your Acura. • Adjust tire air pressures; inspect suspension, tires and wheels. • Adjust front and rear tires. • Road test for quality control. • Provide you a computerized printout. Help preserve your Acura's exceptional handling. Most vehicles. Not valid with any other offer. Coupon must be presented at time of write up. Plus tax & shop supplies. No further discounts apply. See dealer for full details. Only valid for Jenkins Acura. Expires 4/30/19. Vehicles today are more reliable than ever before. Throughout the years, automotive advances have made all our travels more convenient. What this also means is that regular service and inspections are beyond necessary. Our service department proudly offers coupons and other service packages that will ensure all your vehicle needs, and your wallet is well taken care of. With deals like these, maintaining your vehicle has never been easier. We even offer parts specials for our Lady Lake and Leesburg guests. If you see a part special that catches your eye, please let us know. We'll order the part for you if we do not have it in stock. If you need assistance installing your requested part, our expert technicians would be more than happy to take on the job with confidence. Placing our clients' needs at the top of our list is a daily practice at Jenkins Acura. We'd like to invite you to view our service and parts specials for additional savings. We're bound to have an offer for your Acura sedan or SUV.